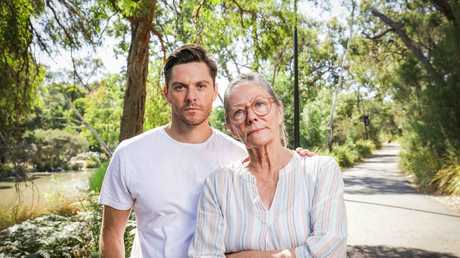 A SHATTERED Rien Low is still at a loss how lender Suncorp mistakenly sent his mother a letter in December addressed to her deceased husband about a property the bank had sold on her. 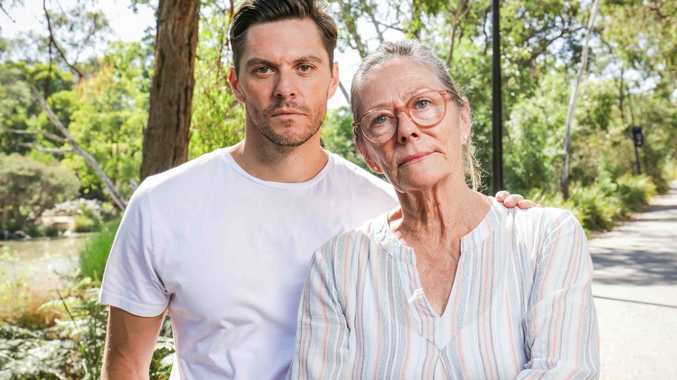 This was just a few months after the 40-year-old gave evidence at the financial services Royal Commission revealing the distress his family endured after Suncorp hassled his mother for debts shortly after his father died in a workplace accident in 2015. Mr Low hopes Monday's release of Kenneth Hayne's final report into the financial services industry will finally "make the banks accountable for what they have done to people". "It's easy for them to sit behind their computers or for people to demand this or demand that but it has massive repercussions and affects on people, we are actually human," Mr Low said. After the sudden death of his father, Mr Low discovered his dad had secured five separate loans with Suncorp in 2013 and 2014, with a combined debt of around $1 million. Rien Low, 40, and his mother Jennifer Low, 67, are victims of banking mistreatment. His mother, Jennifer, 67, had no idea her husband had taken on this amount of debt. "I'm furious the banks lent my dad this amount of money when he had absolutely no way of paying this back," Mr Low said. "It's impacted our lives severely, she's had severe depression, they don't understand the mindset you are in, to lose someone and then lose your house the bank just didn't care." Sheer greed, lucrative incentives and the outright robbery of innocent Australians was unveiled in months of compelling evidence in the commission hearings. The banking, superannuation, insurance, mortgage broking and financial advice industries were put in the spotlight and told to "please explain" their often incomprehensible behaviour. It left many people both in and out of the industry in complete shock. There was 68 days of hearings, 134 witnesses, 400 witnesses statements and 6500 documents. Some of the worst cases included charging dead people, billing customers fees without providing any service and selling products for sheer financial gain. Key recommendations expected to be rolled out on Monday include an end ridiculous bank bonuses, the revamp of sales commissions and targets and a move to give regulators new funding and powers. There should also be a decision to end the bank's vertical integration - where they both make and sell mortgages and financial advice services. 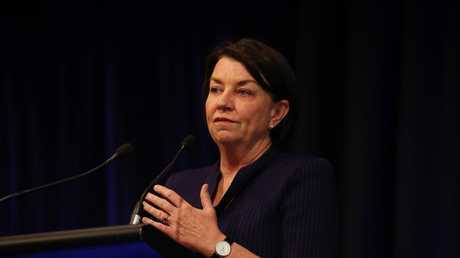 The Australian Banking Association's chief executive officer, Anna Bligh, conceded that "banks know they have failed their customers." Australian Banking Association’s chief executive officer admitted banks had failed their customers and done the wrong thing. "This an opportunity to reset the industry and to make things better for our customers," she said. Banks have already been forced to drastically overhaul their lending standards and brokers have been forced to address remuneration conflicts. The Mortgage and Finance Association of Australia's chief executive officer, Mike Felton, said reforms in the mortgage industry already started 18 months ago - or six month before the Commission kicked off. "There's greater transparency, greater disclosure and greater comfort that they are not being disadvantages by conflicted that have been identified," he said. "Credit has tightened up considerably over the last year which means customers have been turned away from lenders. "That is where brokers can step into and find solutions and redistribute the credit demand." The Household Expenditure Measure (HEM) used by banks to determine a customer's living expenses has also been a source of contention with the big banks committing to reducing their reliance on it. Using HEM, banks assess mortgage applications based on broad demographic information - such as typical incomes in the suburb of the property being purchased - rather than assessing each ¬borrower's specific financial circumstances. Many industry analysts expect the final report to cap or ditch the use of HEM altogether. Home Loan Experts' managing director Otto Dargan said the lenders have had to overhaul the way they hand out loans. "The Royal Commission uncovered failures in the way that lenders assessed living expenses and so most lenders changed their processes instead of waiting for the final report," he said. "We expect all lenders are now compliant however there could be some surprise recommendations in the report which cause lenders to become even more conservative than they are now." All eyes will also be on what Hayne decides to do with the corporate cop and the prudential regulator. The Australian Securities and Investments Commission and Australian Prudential Regulation Authority were heavily criticised for doing little if anything to crackdown on rogue institutions. As for financial advisers charging fees for no service to dead people Australians found this incomprehensible. AMP's top dogs including chairman Catherine Brenner and chief executive Craig Meller were shown the door, while the Commonwealth Bank won the gold medal for fees for no service. Today will hopefully be the beginning of a wave of changes in the financial services industry that will see Australians left better off, not worse off.